U.S. District Judge Julie Robinson said Kobach had failed to complywith a 2016 preliminary injunction that blocked a Kansas law requiring people to provide proof of citizenship when they register to vote. 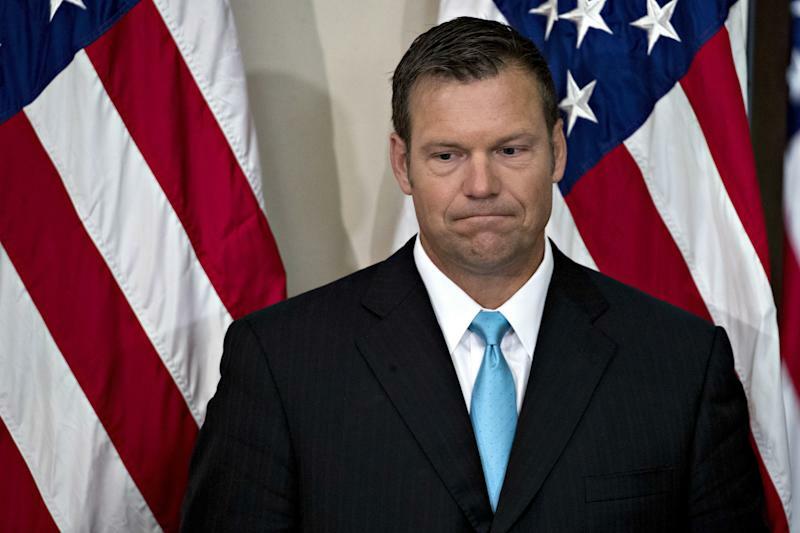 The decision affected roughly 18,000 people whose registrations were being held up, and Robinson told Kobach to make sure those voters were fully registered. Kobach assured her that he would and that he would send out postcards to any affected voter. The plaintiffs,a handful of eligible voters unable to get on the rolls, argue that the Kansas law, which went into effect in 2013, violates a 1993 federal law called the National Voter Registration Act. The federal law requires state motor vehicle agencies to offer people the chance to register to vote and only allows them to ask for the minimum amount of information necessary to do so. Robinson’s 2016 preliminary injunction put the law on hold and she oversaw a bench trial in the case in March. A final ruling is expected later this year. Robinson’s Wednesday order was scathing, and was particularly directed to Kobach, who made the unusual choice to represent his own office at the trial. She said that Kobach, who is running for governor of Kansas, had made disingenuous arguments to the court and suggested that her 2016 order was dynamic and not law. She also said Kobach had a history of “noncompliance” and “disrespect” for the court in the case. Kobach, who ran President Donald Trump’s voter fraud commission until it was disbanded in January,was fined $1,000 for making misleading statementsto the court in the case last year.